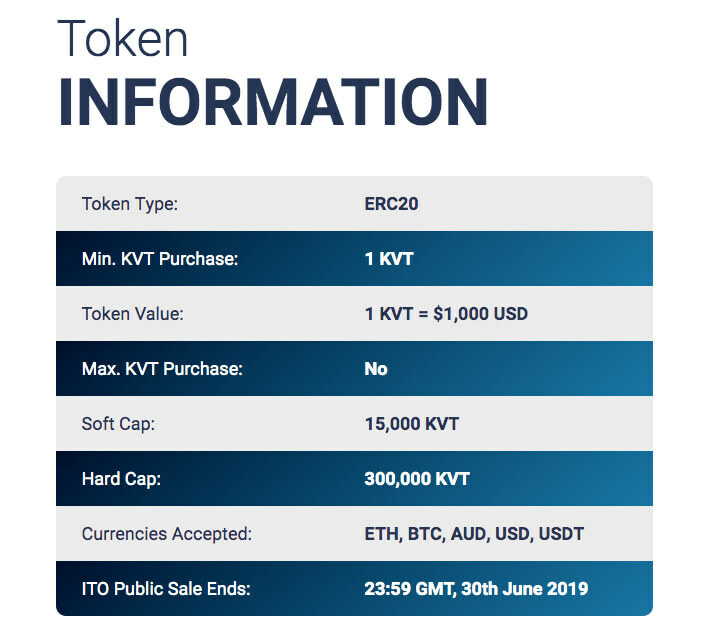 Use this form to apply for the Kinesis Velocity Token (KVT). please click here to use the "Subsequent KVT Purchase" form. Please click the "Next Page" button below to commence your application. I confirm, warrant and undertake to the Company that I am 18 years old or older and can lawfully enter into and form contracts under applicable law. I am not a citizen or resident of a country that is restricted from participating in the purchase or sale of the Tokens due to local legislation or regulation. I am subject to and bound by the Terms by virtue of my purchase of Tokens. I am purchasing the Tokens from Kinesis Cayman. Tokens have no rights, intended uses or attributes outside of use with the Kinesis Platform (if developed). A purchase of Tokens is non-refundable and cannot be cancelled. A purchase of Tokens involves certain technical and other risks which may result in the loss of all amounts paid. The Company reserves the right to refuse or cancel Token purchase requests at any time in its sole discretion. Certain persons, including persons who purchase earlier than me, may receive more Tokens for the same amount paid. The Terms limit the liability of the Company in connection with the sale of the Tokens. Please select... Aland Islands Albania Algeria Andorra Angola Anguilla Antarctica Antigua and Barbuda Argentina Armenia Aruba Australia Austria Azerbaijan Bahamas Bahrain Bangladesh Barbados Belgium Belize Benin Bermuda Bhutan Bolivia Bonaire, Sint Eustatius and Saba Bosnia and Herzegovina Botswana Bouvet Island Brazil British Indian Ocean Territory Brunei Darussalam Bulgaria Burkina Faso Cambodia Cameroon Canada Cape Verde Cayman Islands Chad Chile China Chinese Taipei Christmas Island Cocos (Keeling) Islands Colombia Comoros Cook Islands Costa Rica Cote d'Ivoire Croatia Cuba Curaçao Cyprus Czech Republic Denmark Djibouti Dominica Dominican Republic Ecuador Egypt El Salvador Equatorial Guinea Estonia Ethiopia Falkland Islands (Malvinas) Faroe Islands Fiji Finland France French Guiana French Polynesia French Southern Territories Gabon Gambia Georgia Germany Ghana Gibraltar Greece Greenland Grenada Guadeloupe Guatemala Guernsey Guyana Haiti Heard Island and McDonald Islands Holy See (Vatican City State) Honduras Hong Kong Hungary Iceland India Indonesia Ireland Isle of Man Israel Italy Jamaica Japan Jersey Jordan Kazakhstan Kenya Kiribati Korea, Republic of Kuwait Kyrgyzstan Lao People's Democratic Republic Latvia Lesotho Liberia Liechtenstein Lithuania Luxembourg Macao Macedonia, the former Yugoslav Republic of Madagascar Malawi Malaysia Maldives Malta Martinique Mauritania Mauritius Mayotte Mexico Moldova, Republic of Monaco Mongolia Montenegro Montserrat Morocco Mozambique Myanmar Namibia Nauru Nepal Netherlands New Caledonia New Zealand Nicaragua Niger Nigeria Niue Norfolk Island Norway Oman Pakistan Palestinian Territory, Occupied Panama Papua New Guinea Paraguay Peru Philippines Pitcairn Poland Portugal Qatar Reunion Romania Russia Rwanda Saint Barthélemy Saint Helena, Ascension and Tristan da Cunha Saint Kitts and Nevis Saint Lucia Saint Martin (French part) Saint Pierre and Miquelon Saint Vincent and the Grenadines Samoa San Marino Sao Tome and Principe Saudi Arabia Senegal Serbia Seychelles Sierra Leone Singapore Sint Maarten (Dutch part) Slovakia Slovenia Solomon Islands South Africa South Georgia and the South Sandwich Islands Spain Sri Lanka Suriname Svalbard and Jan Mayen Swaziland Sweden Switzerland Tajikistan Tanzania Thailand Timor-Leste Togo Tokelau Tonga Trinidad and Tobago Turkey Turkmenistan Turks and Caicos Islands Tuvalu Uganda United Arab Emirates United Kingdom United States Uruguay Uzbekistan Vanuatu Viet Nam Virgin Islands, British Wallis and Futuna Western Sahara Zambia Zimbabwe If your Country of Residence is not shown in the above list, unfortunately Kinesis will be unable to accept your application. Notwithstanding any potential or actual prior representation or undertaking by Kinesis to provide the "Holder's Yield", I acknowledge and agree that no such Holder's Yield is payable to me and that I have not made any purchase of KAU or KAG upon this expectation. If you reside in the United States and are not an 'Accredited Investor' you will not be permitted to purchase Kinesis Velocity Tokens. I hereby confirm and agree that I am an "Accredited Investor" or the equivalent pursuant to the securities regulations of the jurisdiction in which I am a citizen, resident or incorporated, and my participation in this token purchase is in compliance with all local regulations and laws and I understand and undertake that I shall supply any and all evidence required by Kinesis to demonstrate this accreditation. I have read and agreed to the the terms and conditions contained in the Kinesis Offering Memorandum. Proof of net worth (excluding the value of your primary residence) that exceeds $1,000,000.